In 1996 Ford Motor Company marked the 75th anniversary of the founding of Lincoln Motor Company. In truth, the Lincoln Motor Company was actually founded three years earlier in 1918 by Henry Leland, formerly of GM, who also engineered the first Cadillac in 1902. Henry Leland named the company after his boyhood hero, Abraham Lincoln. Due to World War I, the first Lincoln Motor Cars were not produced until September 1920. In 1921, Henry Ford bought Lincoln Motor Company because he wanted a luxury car division. A year later Henry Leland and his son, Wilfred, were forced out of the company. As shown in Lincolns special four page brochure, limited edition Diamond Anniversary models were offered on each model Lincoln available in 1996 - the Continental, the Town Car and the Mark VIII. Each was available in either Silver Frost Metallic or Cordovan Metallic. Silver Frost was a standard color that was available on all Mark VIII's form 1995 to 1998. Cordovan Metallic was only available on the Mark VIII in 1996 on the Diamond Anniversary Edition and in 1998 on the Collector's Edition. Curiously Cordovan Metallic was a standard color that was available on all Mark VIII's in 1997. The interiors were trimmed in Light Graphite with Cordovan stitching and piping. 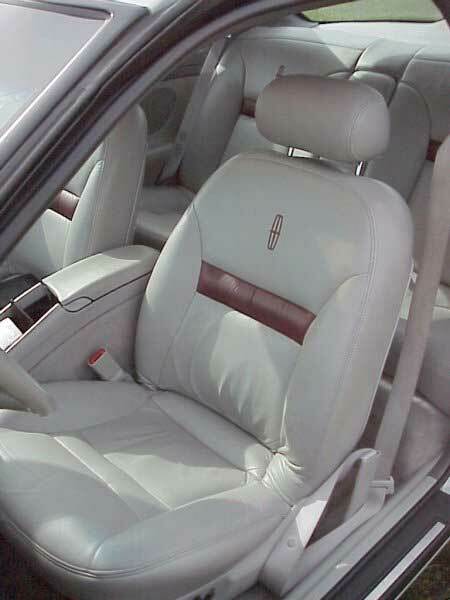 The leather seating was done in two-tone Light Graphite & Cordovan. The cars has model specific floor mats with the Diamond Anniversary logo. 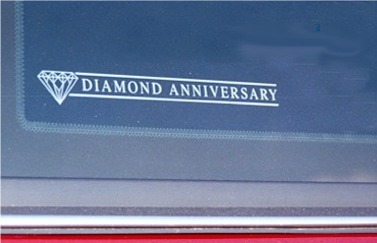 The rear quarter windows were etched with the special diamond anniversary logo. 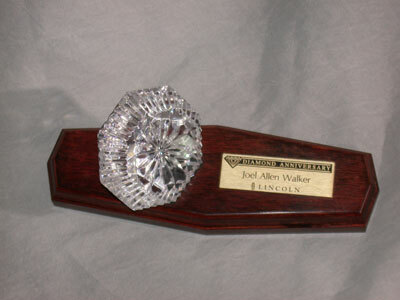 The original buyer got a gift of Waterford Crystal diamond sculpture and a wood display stand with a customized plaque. The cars appeared for the Spring 1996 selling season, around May 1996. The Diamond Anniversary Mark VIII was offered on the base model, but may have also been available as an LSC model. In Auto Revista, Connie Keane writes, "To celebrate 75 years of automotive technology, Lincoln is producing a luxurious Diamond Anniversary Edition of the Mark VIII. The Diamond Anniversary Edition is bestowed with the crème de la crème of standard equipment. 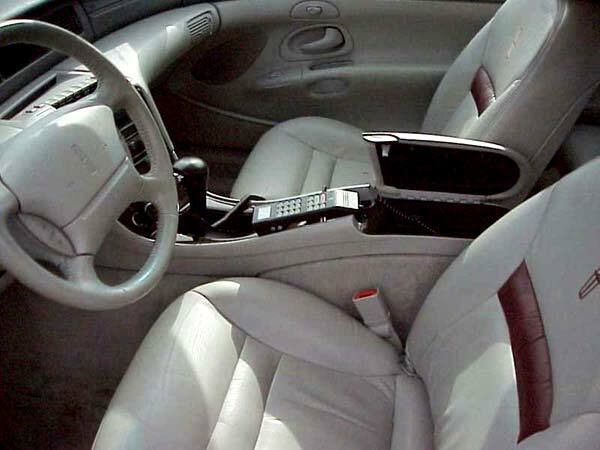 This special Mark VIII model includes the Ford voice-activated cellular telephone, power moon roof, chrome directional wheels, embroidered floor mats and the JBL sound system. It is available in Silver Frost or Cordovan paint with Light Graphite leather seating surfaces. My tester was equipped with the Luxury Sport Coupe (LSC) package. 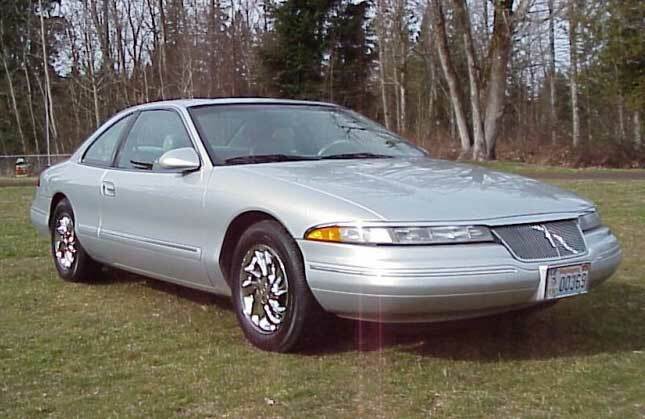 The LSC is the icing on the cake for this 1996 Mark VIII. It includes a monochromatic exterior paint, covering front and rear bumpers and body side moldings. The LSC has a new dual exhaust system and high intensity discharge (HID) headlamps." The cars may or may not have carried an individual serial number like the Collector's Editions of 1998. Production numbers were probably low, though we have not been able get documentation on how many were produced. Based on the frequency of sightings of these cars, fewer than 500 Diamond Anniversary Mark VIII's were produced. 1996 Diamond Anniversary Mark VIII in Cordovan Metallic. Wheels on car are aftermarket. Above two pictures courtesy of Diamond Anniversary owner Speedy4u2c. Above two pictures show the Light Graphite / Cordovan interior unique to the Diamond Anniversary edition. 1996 Diamond Aniversary edition in optional Silver Frost. The chrome Directional wheels are stock for an LSC model. The previous pictures are courtesy of Glen Yadon. This is a picture of the Waterford crystal that was given to the original buyers of the Diamond Anniversary edition cars. Picture is courtesy of Joel Walker. If anyone has any more information or photos on this rare model, contact the webmasters. Information compiled by Sandy Block and Alexander Sosiak.